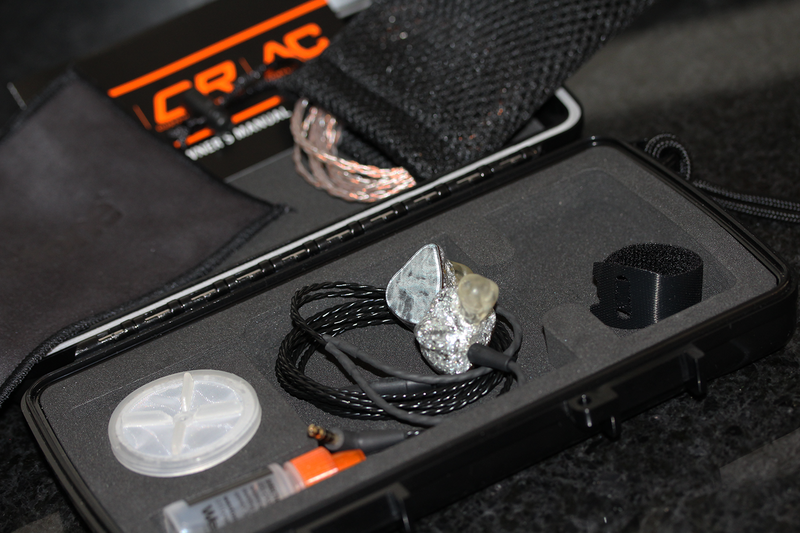 Over the last years, the custom in-ear market has been on the rise, emanating a growth of boutique manufacturers. As a result, it might seem as if more traditional manufacturers as Westone have taken a step back, but nothing is less true – Westone remains a powerhouse in the industry, and keeps working hard to improve themselves in the background. A short while back they launched their new universal flagship, the W80, tuned with the traditional Westone house-sound. But shortly after came the ES80, a more technical tuning, aimed at musicians and producers. At least, that might have been the target – with its top performance, the ES80 is equally bound to find a way to the heart of the modern audiophile. 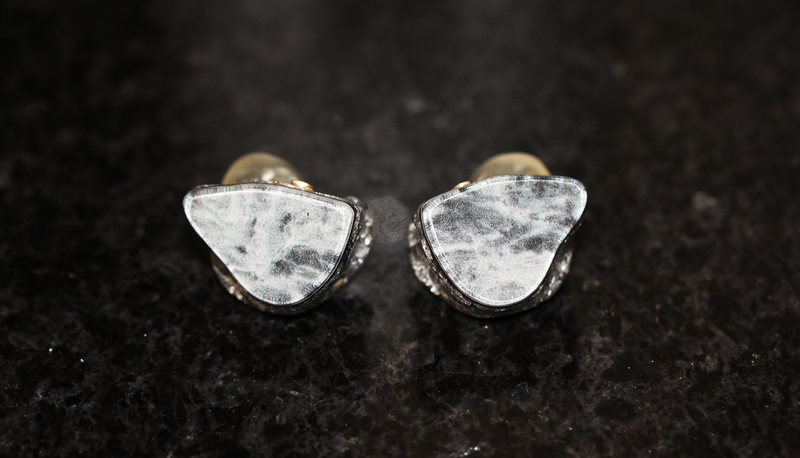 Westone isn’t particularly known for extravagant designs. Which can’t be contributed to their lack of trying, for they offer one of the most varied options for customization. They offer a wide selection of options for the shell body, besides countless faceplate materials and designs. To make matters worse, since you can easily spend a day on mixing and matching, there are even additional options for customization of the faceplates. It’s fun to check out and play around with their custom builder. I personally opted for silver flakes with a granite faceplate. The monitor is built with a silicone nozzle and acrylic shell, a mixed design that Westone traditionally uses for their custom in-ears. It ensures a comfortable fit, while maintaining the advantages of the acrylic shell in terms of durability and maintenance. Despite its 8 drivers, the ES80 is a bit larger than most ciems, protruding slightly more out of the ear. The build quality is impeccable: very smooth, and without noticeable bubbles. The fit is perfect, and very comfortable due to the silicone lower body. The ES80 diverges from the standard accessory package by providing a fairly large carrying case, with ample room to fit the ES80, as well as both cables. In addition, there’s a fixed space for Westone’s insertion gel, a cleaning tool, and dehumidifying package. As a nice extra, there’s a cleaning cloth with the Westone logo. The ALO Ref 8 cable comes in a neat carrying pouch of its own. All in all, a quality package. The ES80 comes stock with two cables: a standard Epic OFC copper cable, as well as the quality ALO Ref 8 cable; an 8-braid copper and SPC hybrid. The two cables differ in ergonomics; the Epic is lightweight and thin, while the Ref 8 is more rigid, and passes on some microphonics. More importantly however, are their differences in sound, for the two give the ES80 quite a different character when it comes to tone and presentation. The Ref 8 gives the ES80 a more aggressive, forward character. Its instruments have greater body, while its mid-bass gains in quantity, and accordingly, impact. At the same time however, the signature is somewhat void of warmth. While this results in greater clarity, there’s a slight tradeoff for tone, depending on preference. The ES80 hovers around neutral, and is somewhat dependent on the cable in this regard. In addition, its stage is a bit deeper compared to the pairing with the Epic cable. When paired with the standard Epic cable, the ES80 is lightly warm, and smoother in tone – a more linear signature. Its instruments are leaner in body, and placed in a flatter, but wide, stretched out stage. In addition, its imaging is slightly more precise, resulting in a more focused image. It is near-impossible to predict which cable pairing one might prefer, as they each have their own advantage, and pair better with different types of music or sources; but it’s nice to have the options. For this review, I based the sound impressions on the ES80 paired with the Epic cable, and my RW AK380cu. I really like the Westone W20 for its brighter take on the Westone house sound. Given that, would you consider the ES80 a natural upgrade from them? Hi Jason, I have never heard the W20 myself. Personally, I wouldn’t consider the ES80 bright, although it certainly isn’t predominantly warm like the traditional Westone house sound of the W models. The ES80 for me comes very close to neutral, with just the slightest touch of warmth when using the copper cable. With the ALO cable it is indeed a bit brighter. So if you’re looking for something close to neutral it would indeed be a natural upgrade. Its main strengths are its very high resolution, and great extension on both ends. Hi flinkenick, I have one more question for you. How do the ES80 treat poorly mastered music? For context, I own the MrSpeakers Aeon Flow Closed and ER4XR, and while they’re fantastic in their own right, their sheer transparency and accuracy often leave bad recordings sounding slightly out of focus, poorly separated, and too light. In comparison, the Westone W20 are balanced but colored in a way that leaves poor recordings sounding better than they really are -more solid and in focus, dynamic and separated- without coming across as too smooth or dark. The only thing with the ES80 is that the lower treble can be a bit sharp with poorly mastered recordings, like certain hip hop tracks or EDM remixes. I wouldn’t say it gets diffuse or anything, and overall its separation is quite good. I personally have very limited experience with the W80, but you could see it is a more bodied, thicker sound with a pleasant tone that is slightly warmer. But I only heard it for a couple of mins at a show. how would you compare the es80 with the flamenco in terms of resolution? Hi Albert, that’s an excellent question. In terms of true resolution, as in high definition, the ES80 is simply one of the, if not the, best of all the BA iems I know. Still, Flamenco equally offers high resolution, so I would base the decision on the differences in signature. Flamenco offers a little bit more body in its midrange, but is also brighter in tone. ES80 is a bit leaner but smoother and close to neutral. Which one is more suitable for pop music (especially for rap, like Kanye and Drake) among UE18+PRO, ES60, ES80? Thank you. Hi Jim, I seem to have completely missed your comment. Please forgive me. In case it is still relevant, I prefer the ES80 over the UE18+ for pop music and electronica, where I would take the UE18+ for more instrument-based music like easy-listening or rock.